'''Need For Speed: Most Wanted''' is the 19<small>th</small> instalment in the long-running [[Need for Speed|Need For Speed]] series of racing games, developed by Criterion Games and published by [[Electronic Arts]]. This game is not to be confused with the original [[Need for Speed Most Wanted|Need For Speed: Most Wanted]], which was released in 2005, even though both games have the same name. Most Wanted 2012 was officially announced during EA's press conference at E3 2012. At the time it is not known if this Need For Speed is a sequel or a remake of the original Most Wanted, but the first gameplay video and trailer hint at a mix between Burnout (driving style, crashes, free roam), Most Wanted/Hot Pursuit (cop chases, fast and exotic cars), and The Run (graphics, Autolog 2.0). '''Need For Speed: Most Wanted''' is the 19<small>th</small> instalment in the long-running [[Need for Speed|Need For Speed]] series of racing games, developed by Criterion Games and published by Electronic Arts. This game is not to be confused with the original [[Need for Speed Most Wanted|Need For Speed: Most Wanted]], which was released in 2005, even though both games share the same name. Most Wanted 2012 was officially announced during EA's press conference at E3 2012. At the time it is not known if this Need For Speed is a sequel or a remake of the original Most Wanted, but the first gameplay video and trailer hint at a mix between Burnout (driving style, crashes, free roam), Most Wanted/Hot Pursuit (cop chases, fast and exotic cars), and The Run (graphics, Autolog 2.0). Need For Speed: Most Wanted is the 19th instalment in the long-running Need For Speed series of racing games, developed by Criterion Games and published by Electronic Arts. 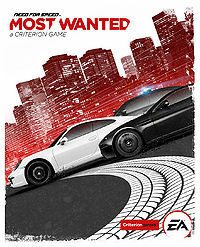 This game is not to be confused with the original Need For Speed: Most Wanted, which was released in 2005, even though both games share the same name. Most Wanted 2012 was officially announced during EA's press conference at E3 2012. At the time it is not known if this Need For Speed is a sequel or a remake of the original Most Wanted, but the first gameplay video and trailer hint at a mix between Burnout (driving style, crashes, free roam), Most Wanted/Hot Pursuit (cop chases, fast and exotic cars), and The Run (graphics, Autolog 2.0).